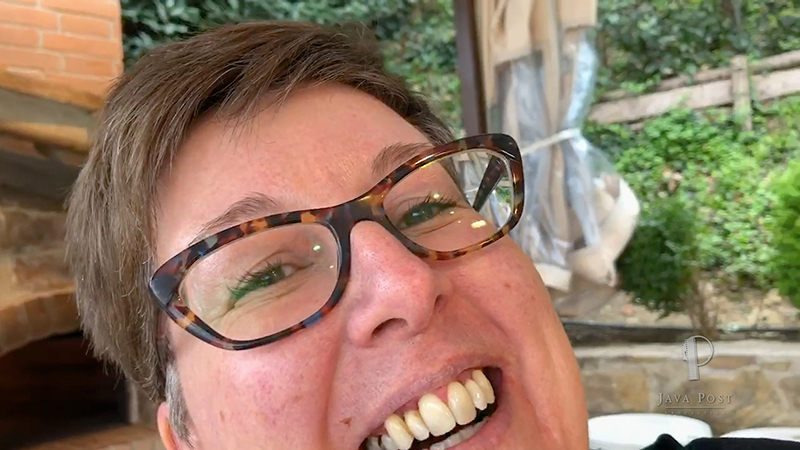 In April 2019, Java Post Production boss "Java Jack" Tunnicliffe and his partner Kim Hall enjoyed a getaway to Italy. 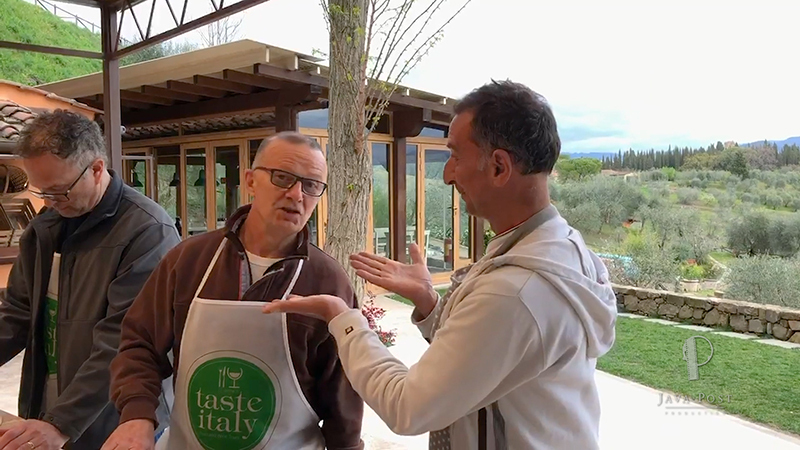 While in Florence, they took a cooking class led by the charismatic chef Luca Morgillo. 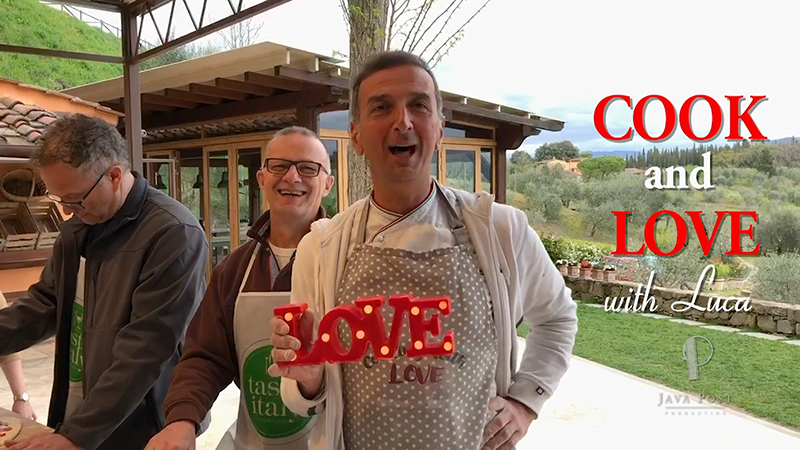 Here's a short video showing some of the fun Jack and Kim had cooking with Luca. 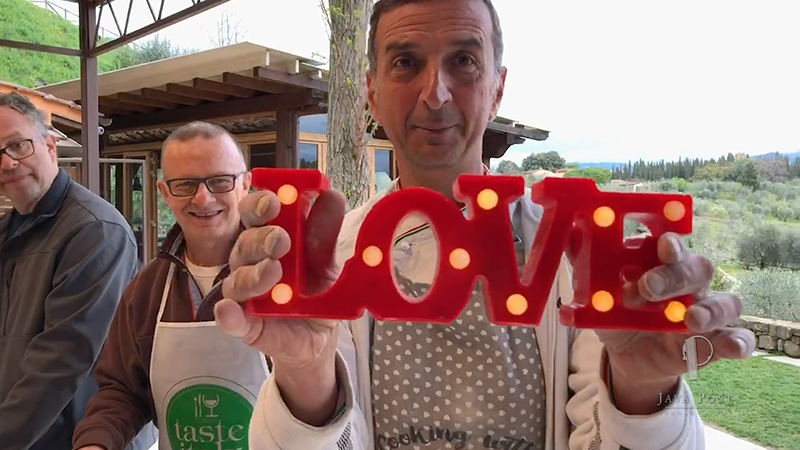 Chef Luca Morgillo (foreground) brings the love. Jack (smiling in the background) brings a healthy appetite. After watching Luca in action on camera, we all are wondering: "Why doesn't this guy have his own Food Network show?" 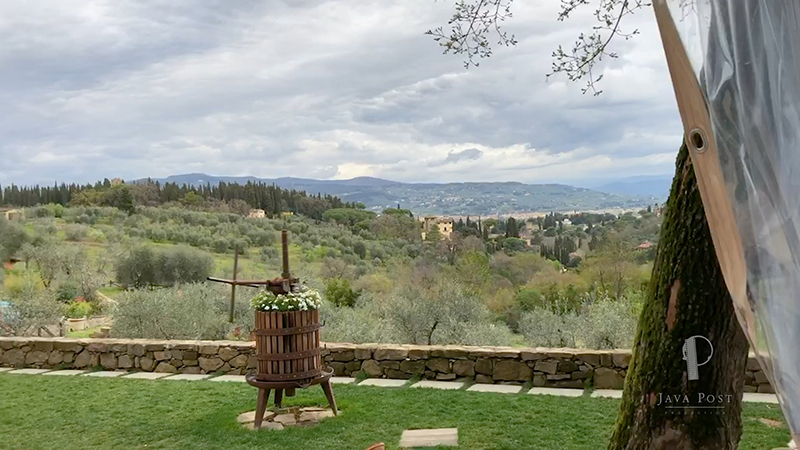 From the site of the cooking class just outside Florence, Italy, the view is lovely. At Luca's insistence, camera operator Kim makes a cameo appearance. 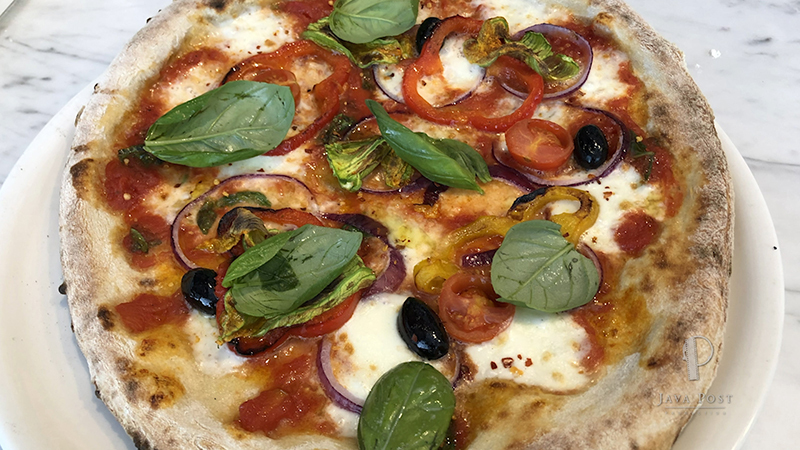 Jack's authentic Italian pizza dough takes to the air under the watchful eye of chef Luca. How many pizza crusts has Luca witnessed hitting the ground due to ham-handed tourists, we wonder? 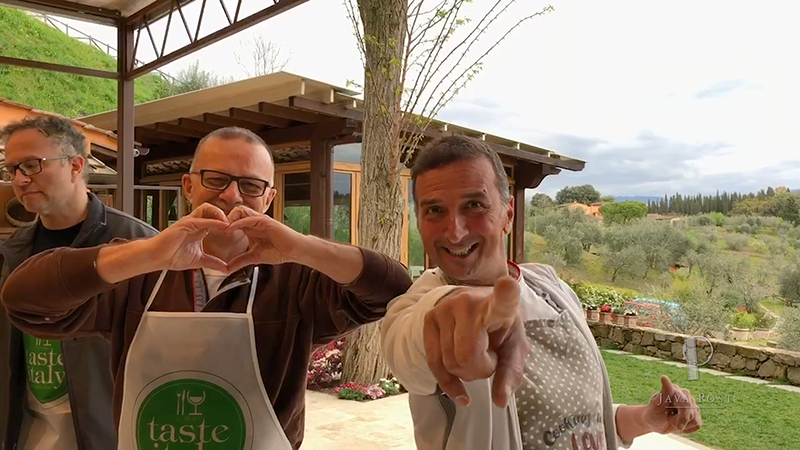 Jack and Luca send their hearts out from Florence to you. 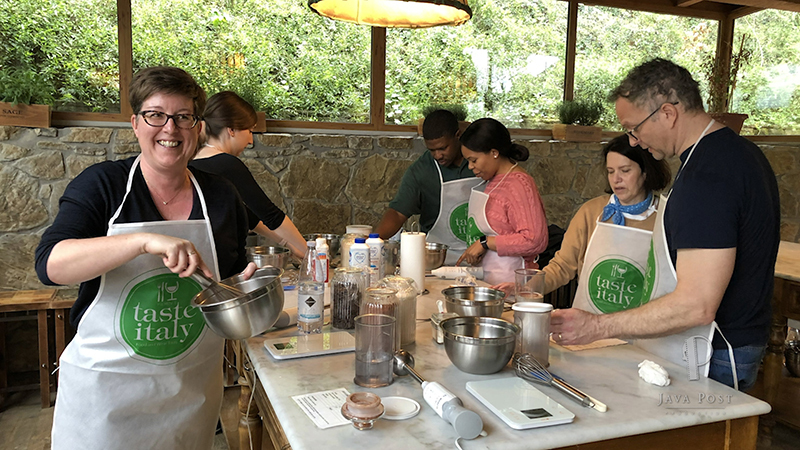 In addition to making pizza, Jack and Kim (left) learned how to make gelato. Jack assures us that their gelato was the best in the class. Mama mia! That looks delicious. 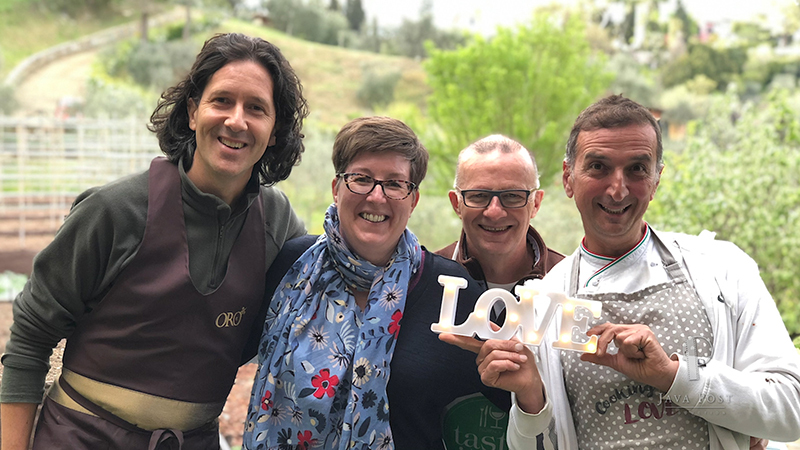 Kim and Jack pose with their culinary hosts, Max (left) and Luca (right). Arrivederci from Florence, Italy.